If you need a Lawyer to help with any family law matter seek out a Lawyer that practices in collaborative law as this is a much more co-operative approach to resolving your issue. Litigation is incredibly destructive to a child's relationship with their parents. Mediation is a more more cooperative way of resolving disputes rather than litigation. See the interview above with former Judge Michael Porter. Judge Harvey Brownstone comments that Judges are, 'trained in the law by the way, not social work, not child psychology, we are not counsellors or therapists, to make a decision about children'. “Those who interviewed me always had an agenda outside of 'checking up' on how my sisters and I were feeling, both emotionally and physically. We just never knew whose agenda we were supposed to be serving in our interviews. Many repeatedly suggested scenarios that they believed to have happened (but never had) were put to us and pushed on us in the interviews in what felt like an endeavour to give certain answers to their questions. Sometimes in the end we agreed with whatever they were putting to use because we were tired and fed up of being there and just wanted to stop being asked those questions and get out.” (child Grace who survived Parental Alienation, the Family Court and escaped murder by one of her parents). See the video below by Professor Kang Lee who has been researching and writing papers on children telling lies for over 16 years. With the acrimony and high stakes generated by the adversarial Family Court system it is not unsurprising that a high numbers of false allegations are routinely made. Professor Tommy McKay did a study of 107 children in UK family law contact and residence cases and found that in 70 % of cases the allegations of physical and sexual abuse were deemed false and in 24 % of cases the allegation was unsubstantiated leaving a very small percentage of abuse cases upheld. It was noted that, 'that false allegations increase substantially as cases become more contentious'. Professor McKay was particularly concerned at the severe damage to the mental health of children who were involved in the false allegation process. The seemingly forensic approach to gathering large amounts of information for child custody assessments by specialist professionals gives the perception the analysis and recommendations are done in a scientifically grounded process. Nothing could be further from the truth as the whole analysis process lacks any scientific rigour whatsoever as eloquently explained by Dr Craig Childress. The limited data that has been made available by the Courts supports what Dr Childress is saying. For example, Leading Women for Shared Parenting managed to get access to all the child custody decisions by courts in North Dakota for January 2011 to mid June of 2017 and tally and analyse the data. Leading Women For Shared Parenting determined that, 'Despite North Dakota having a a largely homogeneous population, the custody determinations between Counties varied significantly. The variances remained not only between Counties separated by great distance, but also between Counties which border one another. They also found that each Judge had their own preferences which was evidenced by their pattern of determinations. Forcing a child to choose between parents is one of the most psychologically horrific things that can be done to a child as evidenced in the real life story told by Frank Abagnale in a Google Talk whose story was later made into the movie, 'Catch me If You Can'. Some of the published Family Court cases remove children from the care of Alienators however many of these are within the first couple of years of divorce. The indications are that the Family Court in Australia is now taking more action against Parental Alienation, however given that most decisions are not published it is hard to evaluate recent progress. In custody cases that drag on for several years Australian Courts inevitably award sole custody to Alienators (as advised by one retired Court professional to the author of this website). Many commentators advise us that Family Courts are not gender biased however given that most Family Court cases never get published this is a claim that cannot be verified. Statements by some lawyers and Judges confirm that there is some gender bias (see https://youtu.be/bTnT8ozaf6g 6 minutes). Representatives of the peak legal body in Australia the Law Council of Australia, expressed a clear an unequivocal gender bias at an Australian Government hearing into the issue of Family Violence on 30 May 2017. Despite the gender bias against fathers there are nonetheless many good mothers who are victims of this process. There is no evidence widely published to suggest that the numbers of children impacted is not split approximately 50/50 between girls and boys. Family Courts are a haven for Alienators with many procedures developed for litigants to use in good faith that are often used by Alienators mala-fides to cut a child from having contact with the Targeted Parent. The classic ones are false allegations that the Targeted Parent has or will physically or sexually assault their child. The Court's concern for the potential risk to the physical safety of a child outweigh's its concern for the known psychological harm of Alienating a child from one parent and entire side of one family. The policies espoused in the Domestic Violence Benchbook are intended by the Australian Government to strongly influence judicial officers in Australia. The policies in the Domestic Violence Benchbook and Family Court legislation and practice are heavily influenced by the feminist movement. Their emotively charged campaigns strongly influence government with the highly misleading projection that all men are violent. This misguided concern by the public and politicians about the violence of fathers over mothers charges Family Courts with the mission to wipe a child out of the life of a parent on the basis of protecting a child's safety as soon as one parent alleges violence on the part of the other parent. In many cases no evidence other than an allegation is needed to do this. Most of the public and policy makers are not inclined to look at the official data which shows that more mothers than fathers kill, abuse and neglect their children than fathers. This gender attack by feminists is the major driver of Government policies that encourage Parental Alienation. The Fathers Rights movement's has a positive approach to campaigning against government policies that foster Parental Alienation by highlighting the positives of shared parenting. So far this approach has done little to slow the momentum of wave after wave of more parentally alienating government policies which are driven to protect the safety of children based on a false premise cultured by the feminist movement. Very little of the statistics concerning the mother/father split for parents who kill, abuse and neglect their children is given any coverage by the feminist controlled mainstream media in Australia. One of the few in recent times was published by News.com.au, 'Why aren't we talking about abusive mums'. Data published by the Australian Government, Australian Institute of Criminology which report more mothers than fathers kill their children is not well known. Studies such as done by Brown and Tyson which found that 66 % more children are killed by their mothers/step fathers than killed by their fathers/step mothers are almost unknown even amongst the Fathers Rights movement. Family Courts have developed a reputation for taking a long time arriving at decisions and being very expensive. -Most Legal Aid is given to females for Family Court cases. (males use up most of their Legal Aid for criminal matters so most/all legal aid for Family Law is given to females to help ensure that each gender is given a similar amount of Legal Aid). -Once one party has received Legal Aid that usually rules out the other parent from receiving it. -It is very difficult to win a custody case against a Legally Aided parent. -An Independent Children's Lawyer may get appointed for the children at some point during the proceedings which the Targeted Parent may be expected to pay for. -Payment for the Independent Children's Lawyer is usually determined according to assessed capacity to pay. -Even if a Targeted Parent believes a child has been brainwashed by the Custodial Parent, if the child is old enough the Court will probably take the child's expressed wishes into account. -using any tactic they can including suicide to force the child to side with them. The more you engage with a Narcissist in Court the more that person will drag the children into the conflict with your children as the losers. The best thing you can do for the sake of your children is opt out of the Court process as early as you can. “When you have heard the evidence, you realise that this is a person who's so determined to win that he or she will say anything. I am satisfied that a number of people who have appeared before me have known that it is one of the ways of completely shutting husbands out of a child's life. 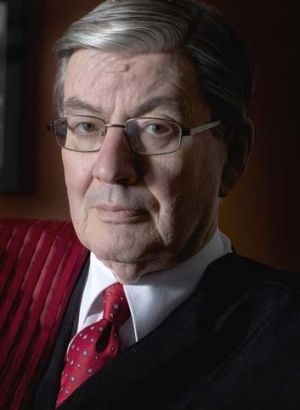 “It's a horrible weapon, “ the Honourable Justice Collier upon retiring from the bench at the Parramatta Family Court. Another major problem you have going to Court with a parent that is Alienating their child is there is a lack of education and understanding about Parental Alienation by many professionals who work in the Family Court area. See Harvard Academic Dr Steven Miller on how many professionals will overlook the diagnosis of Parental Alienation in custody disputes. Many parents have an assumption that when they go to Family Court the Court will appoint a highly trained expert Psychologist to evaluate what is best for their children, however the Australian Psychological Association note that, 'There is little to no research that answers the question of what is in the best interest of the child'. Dr Craig Childress makes the comic suggestion that using monkeys to throw darts at a board would give you just as valid a result. One Judge's approach to Parental Alienation in the United States. Psychologist Richard Warshak has written about Ten parental alienation fallacies that compromise decisions in court and in therapy. Dr Warshak's article is backed up by references to research, is peer reviewed and was published in the journal, Professional Psychology Research and Practice by the American Psychological Association. Dr Warshak wrote a comprehensive review in 2017 titled 'Stemming the Tide of Misinformation:International Consensus on Shared Parenting and Overnighting' about shared parenting research and literature. This study among other things referred to the need for custody decisions in Court to consider evidence that: “sheds light on the dynamics of the conflict, the contributions of each party to it, and the quality of parenting.”(page 29) This journal article has been peer reviewed by 110 of Dr Warshak's esteemed colleagues and far surpasses any other journal article about joint and sole custody considerations for the courts. The American Bar Association have authored an extensive publication titled: A Judges Guide Making Child-Centred Decisions In custody Cases. Family Courts in western countries such as Australia have to date been unable to resist the pressure to allow themselves to be used as an instruments by Parental Alienators to inflict abuse on their former partners and spouses with the children as collateral damage. A good example of this is the known fact that the psychological damage of emotional abuse such as parental alienation can do similar and sometimes worse damage to children than the psychological damage caused by sexual abuse of children. So if courts truly had the welfare of children at heart they would not participate in the alienation by cutting the children off from a loving parent from an untested allegation if there were any indications of Parental Alienation. The Court's practice probably mirrors societies response to this issue in general. For example it has been known by the Australian government that the aboriginal community in the Northern Territory has for a very long time been suffering from high death rates from family violence. However it took media reports of sexual abuse in these communities for the Australian government to intervene in what became known as the, Northern Territory National Emergency Response and send in the army. 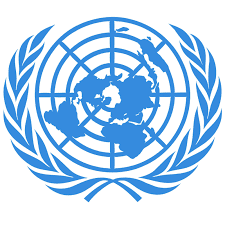 A decision by the UN Human Rights Committee Zoltowski v Australia CCPR/C/115/D/2279/2013 found that the Family Court of Western Australia violated the International Covenant on Civil and Political rights. The High Court of the United Kingdom awarded a father damages for the local Council's breach of human rights in 2017. A San Diego federal jury awarded a North County father more than $2 million in 2103, holding the Escondido Union School District responsible for allowing his young son to be released from school and kidnapped to Mexico. In recent times Germany significantly reduced the adversarial nature of Family Courts using what has been described as the Cochem model. Remember to be respectful of the various people in the Court process. Many of them want your kids to spend lots of time with both parents, however due to the established system – not them, this is not always possible.